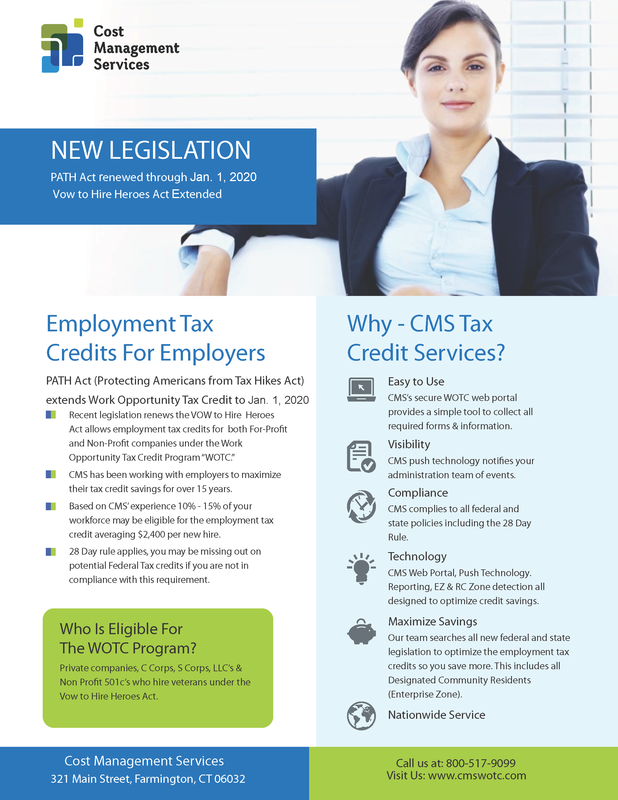 The Work Opportunity Tax Credit (WOTC) is a Federal tax credit incentive that Congress provides to employers for hiring individuals from certain target groups who have consistently faced barriers to employment. The main objective of this program is to enable the targeted employees to gradually move from economic dependency into self-sufficiency as they earn a steady income and become contributing taxpayers, while participating employers are compensated by being able to reduce their federal income tax liability. WOTC joins other workforce programs that help incentivize workplace diversity and facilitate access to good jobs for American workers. This entry was posted in WOTC News, WOTC Questions and tagged Work Opportunity Tax Credits, WOTC FAQ, wotc questions, WOTC Screening Service. Bookmark the permalink. ← WOTC Questions: Does hiring someone receiving SNAP qualify me for WOTC?